One advantage of trips abroad is the opportunity to try out the local food and drink. When we had a few days in Graz, Austria, coffee arrived on individual trays, each with an additional glass of water. We worked hard to try out coffees in lots of different locations across town – one way to visit stylish places on a budget. 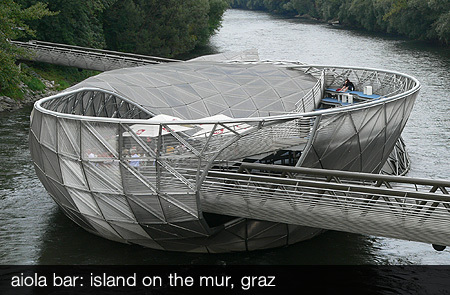 Graz is getting well known for its ‘friendly alien‘, the curvy modern art gallery next to the river Mur. Not as well known, though it deserves to be, is the ‘island on the Mur’, a shell shaped structure that acts as a bridge but includes an outside cafe and an inside bar. It’s particularly beautiful lit up at night. Probably the most beautiful option is the bar near the top of the Castle rock. This can be reached up a slope around the side, but as the rock also includes a glass lift, and an interior that looks like a Bond villain’s lair, you can guess which option we chose. It was so pretty we pushed the boat out…and had a hot chocolate instead. Sadly we’re not gaining any money from Ryanair for our support of Graz, but let us know if you want any more top tips on where to visit. We’ve been lucky on our holidays that we’ve been able to see some great buildings, paintings etc. One particular treat this year was being able to visit Madrid, on a work trip in May. Dan was able to come with me, and we stayed on a couple of days afterwards. The agency where the meetings took place was conveniently on the same street as some of the main art galleries, making it fairly easy to plan what to see. We visited the gallery which houses Picasso’s Guernica towards the end of one afternoon. 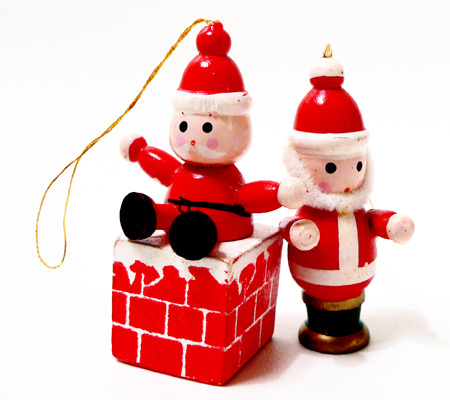 It meant that we could view this particular picture for longer than we might have done. Looking around other rooms nearby, part of the impact was coming past the entrance to the Guernica room and catching sight of the painting again. It’s surprisingly big, allowing you to move along and look long and hard at different sections. Stepping back outside into warmth and colour, after the monochromes of the painting, it was great to feel alive. However, just a few blocks down the street from the gallery is the Atocha railway station, which you may remember was affected by bombings. It was certainly a reminder that some of the big themes on display in the galleries are not that distant on the outside.